It’s December already… Festive motifs decorate shops and even websites, chocolate Santas are on the shelves (actually, where I am writing from, that same figure is identified as Saint Vasilios) and seasonal music is hard to avoid – in other words, we’re approaching Christmas rapidly. Surely, everyone among our readers has his or her own approach to the great winter festival, looking forward to it, planning for it, or ignoring it for the time being. 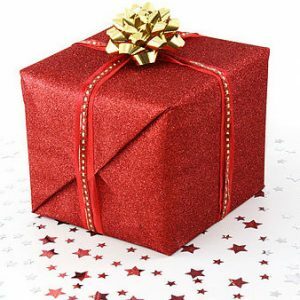 Still, for most of us, celebrating Christmas includes at least one common and traditional element: the giving and receiving of gifts. 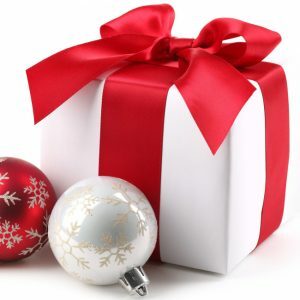 For the first time last year, we offered our own list of suggestions for Christmas presents, personal recommendations from Peter Sommer Travels’ core staff and associates. The effort comes naturally, as we are also thinking about gifts we intend to give, and maybe about ones we hope to receive, at this time. So, here is our 2014 Christmas gift post, aimed to be of interest to those who share our passions: archaeology, history, travel, culture and food, especially of the regions we travel on our tours and cruises. Like in 2013, books take a central place in our list, but as you shall see, we have not limited our ideas to printed matter! Our company bears Peter‘s name because he started it all in 1996. In 2015, he will be guiding tours for his 20th season! Peter’s deep fascination with Turkey in particular and with ancient history in general have made Peter Sommer Travels what it is and have brought us where we are now, with a range of 31 tours on 25 itineraries in – for now – three countries, including Peter’s epic In the Footsteps of Alexander – the Conquest of Asia Minor tour in Turkey. 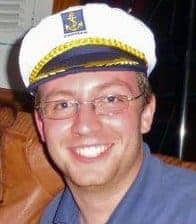 His enthusiasm for his work and his contagious desire to share his interests with others have become leading principles for all the guiding on all our trips. He recommends a book that many of us have been awaiting for years. 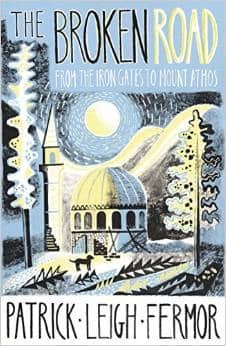 The Broken Road: From the Iron Gates to Mount Athos, by Patrick Leigh Fermor, NY Review Books / John Murray, 2014. Patrick Leigh Fermor (1915-2011) was a larger-than-life character, famous for his exploits during the Second World War in Crete and later acclaimed as one of the key English travel writers of recent generations. In 1933, at the tender age of 18, he set out for a year-long walk from the Hook of Holland to Constantinople (Istanbul), traversing an immensely diverse set of regions at a time of great historical volatility and keeping a diary along the way. Decades later, two instalments of his memoirs of that epic hike were published as A Time of Gifts – On Foot to Constantinople: From the Hook of Holland to the Middle Danube (1977) and Between the Woods and the Water: From the Middle Danube to the Iron Gates (1986) – both became instant classics. When Leigh Fermor passed away in 2011, many of us feared that the final volume would never appear. Oh, us of little faith! Earlier in 2014, The Broken Road was published, based on the great man’s notes and diaries, completing his journey to Constantinople and setting out the beginnings of his life-long travels around Greece, distinguished by his deep insight and unique writing style. Michael is another mainstay of Peter Sommer Travels, a profound thinker, gifted communicator, compelling speaker and extraordinary organiser. His many years pursuing ancient inscriptions in Turkey, Greece and Italy have made him a veritable expert for all the areas we travel – for the time being, he is the only one of our experts to have guided in all three countries we cover. Responsible for nearly all our Italian tours, he makes a suggestion especially relevant for his very successful Exploring Sicily tour. 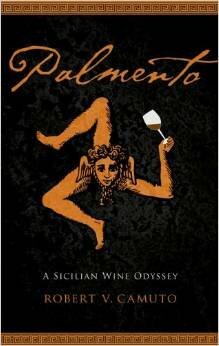 Palmento – A Sicilian Wine Odyssey, by Robert V. Camuto, University of Nebraska, 2010. Camuto’s book is a tour de force. As a well-published wine journalist having set out to explore the vineyards of Sicily and the recent explosion of quality in their produce, he found himself enthralled by the island’s diverse culture and ongoing dynamics. It would be trite to say that he fell in love with Sicily on his frequent visits: he found a profound and individual connection with it. The book, still centred on wine, or really on the wine-makers, is a travelogue, a cultural history, an appreciation of regional diversity, and a key example of a deeply personal experience of place and people, landscape and history, tradition and development, turning into great travel literature. A must-read if you have been to Sicily, and even more so if you need to be convinced to visit that remarkable place. Alan is a lecturer at the Department of Classics, Archaeology and Egyptology at the University of Liverpool. His specialisation is the prehistory and early history of Anatolia and he has been actively involved in excavations and field projects In Turkey for many years, including his ongoing research at Çaltilar in Lycia. 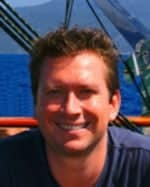 Alan has been the archaeological expert on many of our trips in Turkey: in 2015, he will lead our Cruising Western Lycia. Apart from his wide-ranging knowledge of the country and its history, our guests also tend to remark on his highly developed sense of humour! Alan has made his own contributions to the body of academic literature on Turkey’s archaeology, but here, he is recommending a rather different take on the country’s past and present. 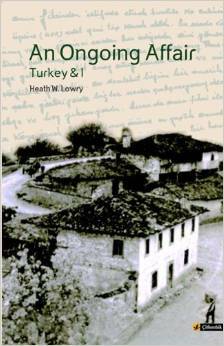 An Ongoing Affair: Turkey & I, by Heath W. Lowry, Citlembik, 2009. Lowry, a historian, was the Atatürk Professor of Ottoman and Modern Turkish Studies at Princeton University until his retirement last year. His deep engagement with and passion for Turkish culture and history are distinguishing – sometimes even controversial – factors of his life and work. An Ongoing Affair is an account of his first encounter with Turkey, serving as a Peace Corps volunteer in the isolated mountain village of Bereketli in northwestern Anatolia from 1964 to 1966. The book is a very personal memoir, recounting events and incidents in a very approachable, atmospheric and charming narrative that offers some subtle insights into the underpinnings of traditional Turkish society. Nota‘s is an essential presence on virtually all our tours in Greece and she is the key figure in our Walking and Exploring Cappadocia and the Land of the Hittites in Turkey. She is extraordinarily well-versed in all aspects of Greek Archaeology and an expert in Byzantine art – but in many ways she is a polymath, with a remarkable gift for drawing wide-ranging cultural connections, whatever she’s looking at. Another one of her talents is a deep understanding of cuisine and wine, central aspects of the local cultures and traditions in the regions we travel and the royal road to experiencing and enjoying them as fully as possible. Her gift suggestion is that of a connoisseur in that word’s true sense. Henriques & Henriques 10 Year Old Malmsey Madeira. What about a gift that is perfectly suited for the Christmas days or the New Year’s Eve dinner, original, special and flavoursome beyond measure? The 10 Year Old Malmsey Madeira is an excellent dessert wine from Henriques & Henriques Estate – the largest independent producer in the Portuguese island of Madeira, shipping aged wines of an exceptional quality since 1925, following a unique process that once helped to preserve the wine for long sea voyages through tropical climates. Malmsey Madeira is a sweet variety of the noble Malvasia grape, also known in Madeira as Malvasia di Candia (“Malvasia of Crete”). The wine has aged for about ten years in canteiros (casks stored in warm rooms) and impresses with its complex flavour of walnuts, coffee and a caramel-like finish as well as its unique combination of sweetness, sharp acidity and profound richness. A perfect and impressive dessert wine to complete and complement a festive meal. 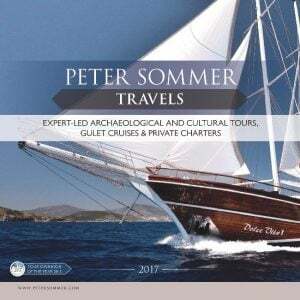 Essentially, I am Peter Sommer Travels’ tour expert for Greece. Resident in Athens, I co-lead most of our tours in this amazing country, which I have travelled widely since 1978 (when I was quite little) with a special interest in prehistory. My hope is to share my fascination and my love of its archaeology, its history and culture from antiquity to the modern age, its people, its traditions and its spirit with our guests. I also frequently guide tours in Turkey, another place close to my heart. Writing and reading count among my core passions, so I am very pleased to be able to recommend a delightful new book that combines all these interests! 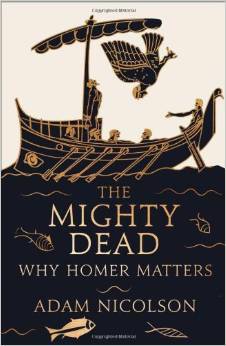 The Mighty Dead: Why Homer matters, by Adam Nicolson, William Collins, 2014. This is an unexpected gem. Nicolson is a British author and has published a number of books concerned mostly with English history and architecture – nobody would have expected his next work to be about Homer. Having rediscovered the ancient Greek poet in his middle age, he – there is no other way of putting it – fell in love with the author and his two epic poems. Of course, I am not so certain that there was a Homer, nor do I necessarily agree with Nicolson’s interpretation of how Homer’s works reflect Bronze Age history – but it doesn’t matter. Nicolson has delivered a wonderfully written elegy to Homer and his relevance, to “his love of love and his hatred of death” and to his works’ central significance in telling us “how we became who we are”. This is a two-in-one recommendation: reading The Mighty Dead will inspire you to read Homer next! 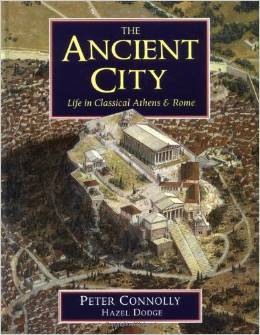 The Ancient City: Life in Classical Athens and Rome, by Peter Connolly and Hazel Dodge, Oxford, 1998. A superb volume illustrating daily, official and religious life in two of antiquity’s super-cities, in both of which we offer tours: Athens and Rome. We sometimes use images from this book on our tours, as they give an excellent and vivid impression of what some of the sites we guide would have looked like thousands of years ago. Dodge’s concise and clear text accompanies the extraordinary reconstruction drawings by Connolly, whose skill in that field remains unequalled. For a highly visual introduction to ancient life, from domestic architecture to the great temples, from individual clothing to military armour, from personal furniture to industrial equipment, and so on, the Ancient City is a perfect choice, appropriate for children and adults alike. 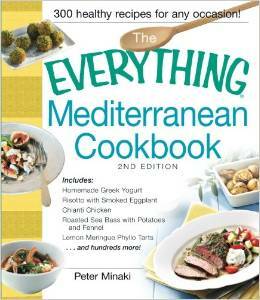 The Everything Mediterranean Cookbook, by Peter Minaki, Adams, 2013. Peter Minaki is a well-known Greek-Canadian culinary expert. He runs the excellent Kalofagas blog (Kalofagas is the Greek word for gourmet), regularly providing very fine recipes and other information about Greek food and produce. His Everything Mediterranean Cookbook is a collection of recipes from Greek cuisine – no less than 300 of them – ranging from breakfasts to desserts, vegetables to pasta and meat to fish. It includes all the well-known classic dishes, but also a host of interesting and original variations – for example, the traditional moussaka is complemented by a meatless version and by one using artichokes! It’s within the nature of our work, of preparing and leading cultural tours, that we do a lot of reading – we have to. Of course, we also read for pleasure and to satisfy our curiosity about the world – and so do our guests. It is always of interest for us to learn what they are or have been reading. Nicholas Harper has so far been on two of our cruises in Turkey and one in Greece (on which our charming picture with the captain’s hat was taken), and is joining another of our tours next year. Often the youngest member in our groups, he has a degree in archaeology from Reading University and is pursuing further studies in that field. A History of the Ancient Near East, ca. 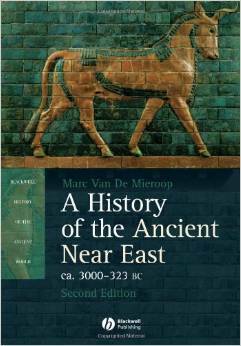 3000-323 BC, by Marc Van De Mieroop, Blackwell, 2006. Sumeria, Babylonia, Assyria, Persia and the Hittite Empire – great names of long-lost civilisations in a region that has contributed so much to human culture. Although our current itineraries only overlap with the westernmost parts of the vast area covered by this volume, namely on our Hittite tour, the civilisations of the Ancient Near East are a constant presence on many of our trips, as they exerted a strong cultural influence on much of the Mediterranean through trade and other forms of contact. Van de Mieroop’s work is arguably the first accessible textbook to take in the entirety of the Ancient Near East, making the complex interplay between various tribes and peoples over a span of nearly three millennia approachable to the non-specialised reader. Spartacus, directed by Stanley Kubrick, 1961, uncut and fully restored edition (1991). Last year, we recommended a film that only received mixed reviews when it came out (Oliver Stone’s Alexander). This year, we’d like to remind you of an undisputed classic, one of the finest of Hollywood’s “sword-and-sandal” movies set in ancient Greece or Rome. Of course, Spartacus includes its fair share of historical inaccuracies and offers what one might call a prejudiced or clichéd perspective on the ancient world – but who cares? 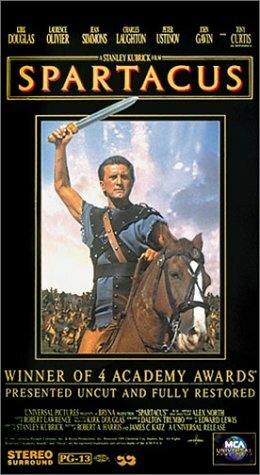 It is a truly iconic film with a grand epic narrative, moments of high drama, elaborate battle scenes and an extraordinary cast, including Kirk Douglas, Laurence Olivier, Charles Laughton, Tony Curtis and Peter Ustinov. Moreover, it was directed by the great Stanley Kubrick! Playing is not simply a frivolous activity or a merely a pastime, and it is certainly not just for children. Ideally, play is a manner of engaging with an aspect of the world in a relaxed and carefree way, with the mind wide open. Of course, playing and learning are closely related concepts. 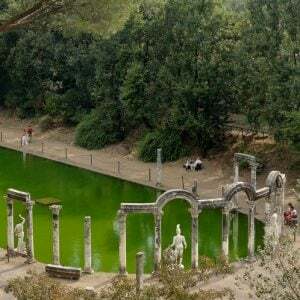 Rome – 4D Cityscape History Over Time Puzzle, 4D CityScapes, 2014. 4D Cityscapes are quite a new thing: the first (of New York) was released in 2010. The concept is very interesting. First, the player has to complete a jigsaw puzzle of the respective city’s topography and terrain. This is then covered with a second jigsaw puzzle representing the urban streetscape. Finally, models of important buildings are placed atop, in the order of their construction. Assembling such a Cityscape is definitely play, but it also makes for a very profound and hands-on engagement with a city and its architectural history. Currently, 21 different cities are available – but none could be more appropriate than the “Eternal City”, Rome herself. This is definitely a toy for children of age 8 to 80 and may be of special interest for those who plan to join our newly-introduced Exploring Rome tour in October 2015! Last year we recommended the online shop of the superb Benaki Museum in Athens. I’ll stay with that theme this year, recommending another superb museum store in the Greek capital, that of the Goulandris Museum of Cycladic Art. It offers many unusual top-of-the-line gifts, including various copies of ancient jewellery as well as modern work inspired by ancient precedents. Most distinctive, however, are the superb replicas of prehistoric marble objects from the Cyclades, including the famous figurines and especially the superbly simple marble bowls, timeless objects of an austere beauty – as clear now as it was 4,500 years ago – made of real Cycladic marble. They are usable items and things of great aesthetic value at the same time, their appeal being based on the essential simplicity of their shape and the extraordinary quality of the material they are made of. Well, once again I have trawled through the online platform Etsy, specialised in handmade or vintage items, to find something strange that might appeal to those who are interested in us and our tours. Mediterranean food is a common theme on this blog, even in this post, and on most of our tours. In fairness, who doesn’t like Mediterranean food – but did you know that you can also wear it? There are a number of sources for jewellery based on miniature models of various foodstuffs, such as the Spaghetti Carbonara necklace shown on the right. It comes from a workshop called HugsKissesMINI, distinguished by the remarkable range of such painstakingly hand-crafted items they offer, including pizza earrings and a feta-cheese-with-olives ring! Evidently, we cannot offer links for finding that, but why not have a look at our 2015 travel brochure instead – and treat your loved one(s) to the holiday of a lifetime?